We are available to fix your broken boilers or any boiler emergency at any time and day, within Central London and M25 motorway. We will simply never do work that does not need doing. 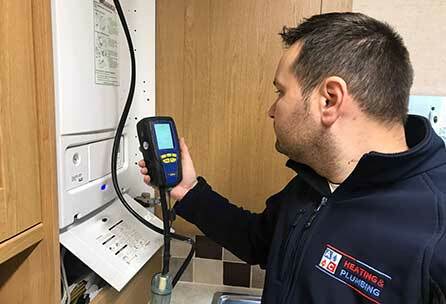 Our experience of working in the industry allows us to fault find and diagnose the root cause of problems, and carry out the boiler repair quickly and efficiently, with minimum impact of your daily life. We specialise in boilers, from servicing to repairs, to supplying and fitting the latest energy efficient models. We are here for all your boiler related needs. This means any potential long term issues your system might be suffering will be diagnosed and can be treated to prevent future breakdowns. The plumbers can solve a wide range of plumbing problems such as leaky pipes, taps, or even toilets that don’t flush the way they should. We employ only the best plumbers in London for all of our services, from gas boiler installation to bathroom plumbing & drainage. We also offer boiler breakdown cover so that should anything go wrong with your boiler in the future, you won’t pay a penny. 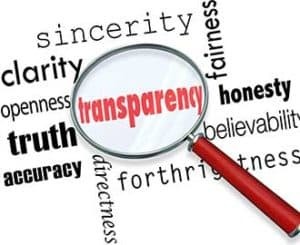 A&C Heating and Plumbing rates are completely transparent and highly competitive. We offer a 24/7 emergency service and never charge a separate call out fee, parking and congestion charge. With our 15 years of experience and knowledge, we make sure you get the correct advice from our expert engineers. We offer competitive rates on singular gas safety certificates and give you discounted rates for those with multiple properties. You should get your boiler serviced regularly to make sure it’s working properly. We offer one year warranty parts and labour. We assess each job individually before providing you and your family with an unrivaled service coupled with excellent value for money. We’ve built our business on customer satisfaction. That’s why we're still helping customers many years after we first started out. Could we help you too? Very personable service, patient and willing to help. Pleasant experience and will definitely use them for any future heating and/or plumbing needs! Came the same day as I phoned. Did a really good job fixing a timer to my old boiler system. Excellent service. THANK YOU! Quickly figured out the issue with boiler and quickly came back and repaired it. Great to have a plumber that knows what they're doing. 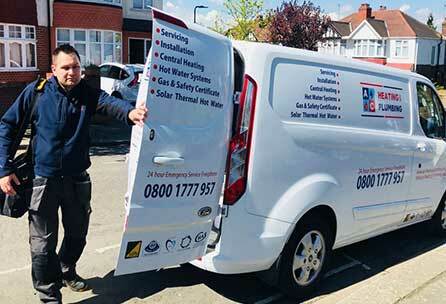 A&C Heating and Plumbing have highly experienced Gas Safe (CORGI) Registered heating engineers and are south London’s premiere independent heating and boiler installer. 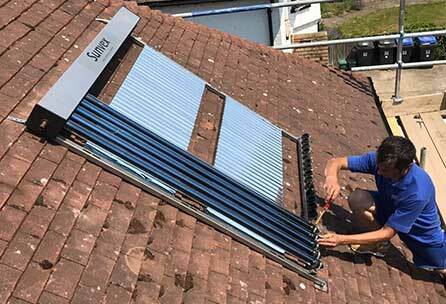 We design and install complete systems and can repair or upgrade your existing system wherever possible. Our heating engineers undertake all types of breakdown repairs quickly and efficiently including fault-finding and diagnostic solutions. A&C Heating and Plumbing is available 24/7 for emergencyplumbing repairs, including holidays. You can’t afford to wait when it comes to plumbing problems—so we don’t make you. We are experienced Gas Safe Registered Engineers,we specialise in the installation and repair of all makes and models of domestic Gas fired Central Heating Boilers. We offer a variety of services to cater for your plumbing and central heating needs, including; boiler repair, boiler replacement, boiler installation, emergency boiler repair London, water heater repair, solar thermal panels,Landlord Gas Safety Certificates, plumbing & 24 Emergency Plumbing. All our Gas Safe Engineers are Viessmann, Baxi-Main-Potterton, Worcester Bosch, Vaillant & Glow Worm and Ideal Trained and accredited installers. Available emergency boiler repair 24/7 hours a day !